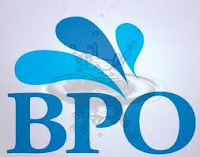 Here are the latest and fresh day shift BPO job openings-2012 for Delhi, Gurgaon, and NCR areas for Day shift International and domestic BPO/call center company for voice process, non-voice process, backend and inbound process for customer care executive (CCE) or process associate designation/post for freshers, experienced, graduates, under-graduates, drop-outs, 12th pass call center executives who are well versed with written English and who got good/excellent communication skills in English. These day shift BPO openings are with a very reputed social media/e-commerce/call-center company located in Gurgaon. The day shift 5 days-week working openings are for inbound voice process (10% voice and 90% non-voice or back-end). It’s 5 days week working pure day shift BPO/call center openings but candidates to be open/flexible for 6 days working. Saturday-Sundays are fixed offs. Working shift hours 9 am-7 pm ( 1 hour of break included). Shift timings– Purely a day shift from 9.30am-7.00pm (including 1 hour of break)-day shift forever. Shift hours will always be in day time as its an Indian company and you need to handle only Indian customers. Hence the shift timings will be 9.30am-7pm as per IST( Indian standard time). social media+ web/Internet+e-commerce+travel+classifieds company (advertising/social media company). No of employees working- 1200. Regional working location (hiring for)-Gurgaon (Haryana). Job profile– The job profile involves solving various types of customer queries through emails or over the phone while maintaining the process work up to date. Mostly its 90% back end and 10% voice process. Process type– Inbound customer care as well as back-end operations. Cab facility– No transportation facility, you have to commute by your own. hence candidates from Gurgaon, South Delhi locations are preferred. Salary– 20K in-hand +incentives +Free meals. How to apply– Just call [email protected] to fix a direct walk-in interview in the company. Please don’t call for any other openings. If you want to apply for any other openings or day shift jobs, please register here for free to apply for BPO jobs– and you will receive an instant response as soon as there is any relevant opening to you,Thanks.